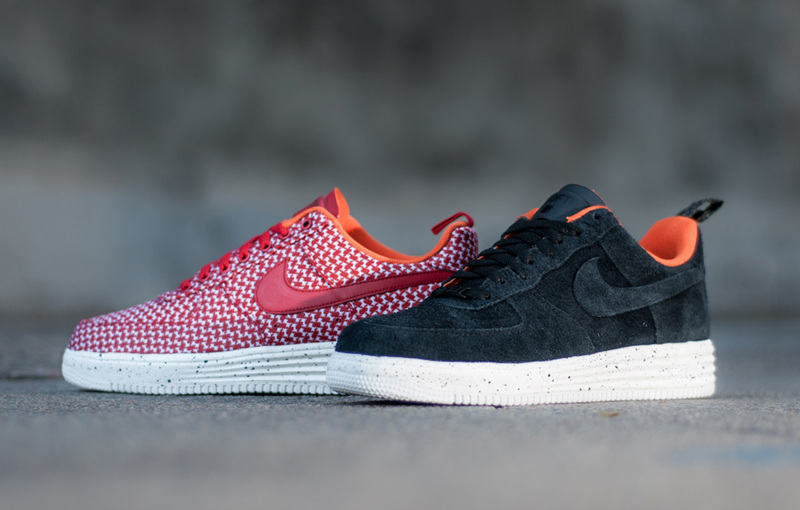 Los Angeles based Undefeated started the year by hooking up the Nike Lunar Force 1 in two colorways. 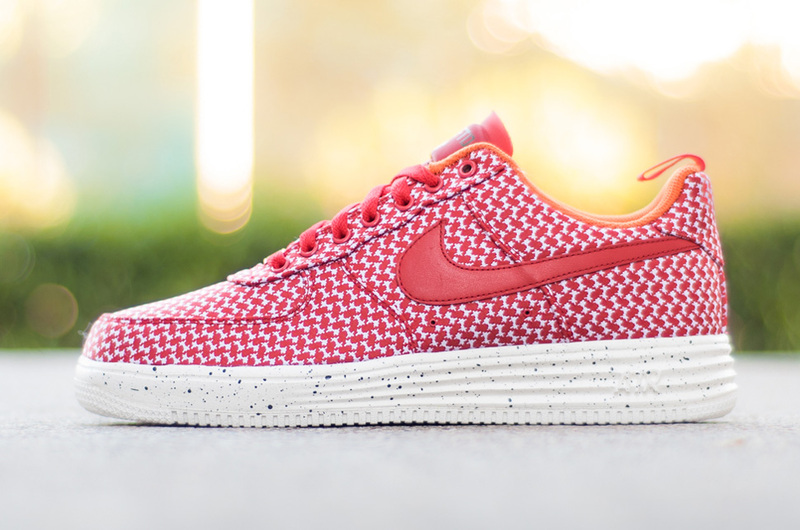 For the high top edition, the sneaker was given a red suede upper with the lows styled in a jacquard print. 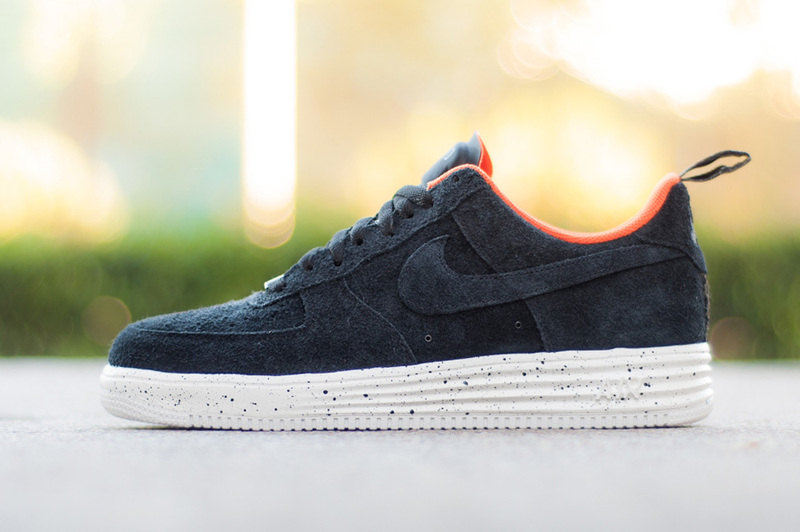 The Undefeated union with Nike continues as the legendary shop has hooked up two low top editions of the Lunar Force 1 for October. The concept remains the same, shaggy suede and jacquard. Playing off the colors that they used back in March, one of the sneakers is set in university red and white in a jacquard print while the second dons black shaggy suede. 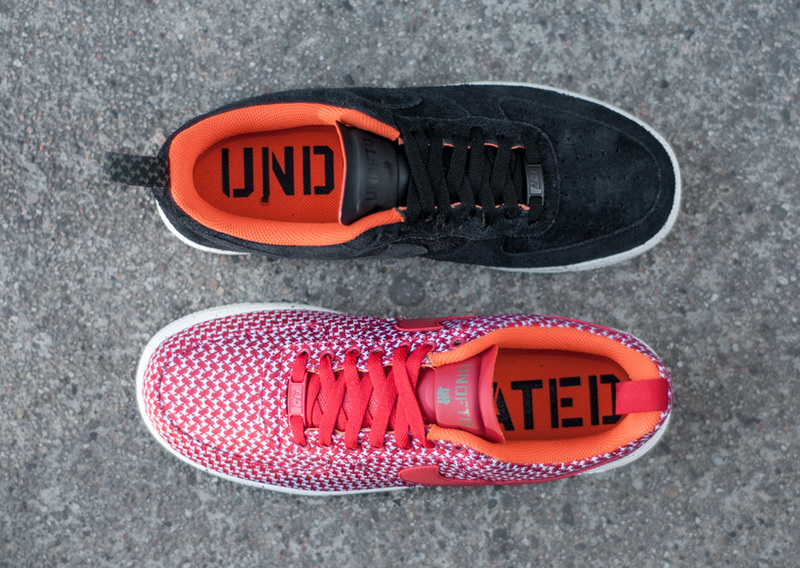 Unifying the two styles, each is mounted on a white speckled soles with UNDFTD signature orange on the lining. The duo are set to launch 14th November. 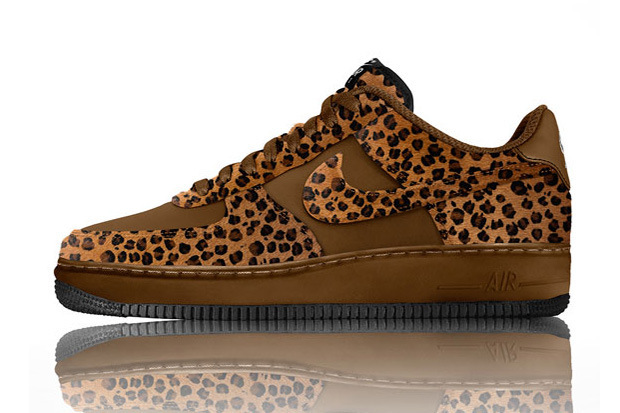 I’m not into Air force ones never have been but I am into Animal prints like a Northern Mick Dundee…so this are pretty cool. 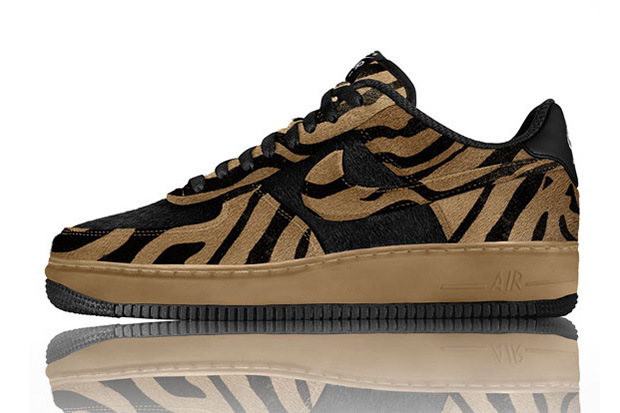 Not bound to only colour selection from Nike iD anymore — shown with the previous snake-print option —Nike will now offer a pony hair material for its Air Force 1 low and high models. Presented in a handful of safari-inspired prints, the silhouette will still maintain its iconic outsole, while the complete uppers, including the ‘Swoosh’ areenveloped in fine pony hair. Set for an early April release, availability for the unique option is set to launch in Nike iD Japan locations and other parts of Asia. 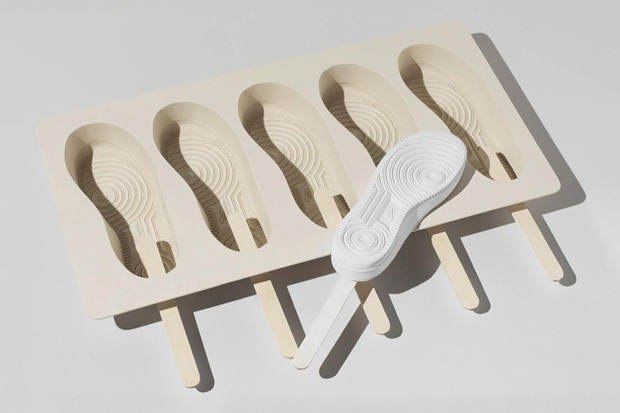 During tinkering phases in the development of Nike‘s Lunarlon sole, designers from Nike Innovation Kitchen increased stability in the mold by freezing it. After adjusting their approach to this new form of sneaker technology, the end result indicated that experimentation from the Beaverton camp was a key part of their innovative creations. 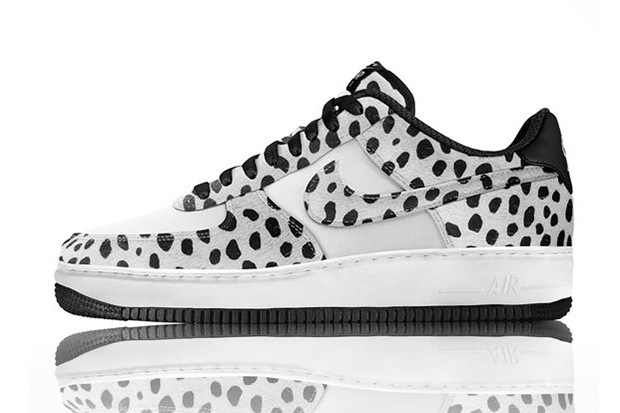 While availability at a retail level may not be slated, Nike has commemorated one of the brand’s more surprising yet important research landmarks by immortalizing the iconic Air Force 1 sole in Ice Lolly form. I neeeeeed one of these! !